For over two decades, JPR's "Gourmet Oldies Show" has featured an extensive archive of classic R&B, Swing Jazz, Blues, Boogie Woogie, Country, much much more. It's the popular music of a time gone by to honor and celebrate the Golden Era of American vernacular music. Plus, each week features special trivia questions to test your knowledge of the past, and a set called "Ladies Choice." Each episode is 1:58 (Two 59:00 hours), with a floating :30 avail each hour. This week's episode is the first of two that showcase tunes that are all about money! This week's episode features songs that you may have heard before, but probably not the various versions Craig Faulkner has uncovered. American Rhythm continues it's exploration of vintage songs about rain this week. With the arrival of spring rains, American Rhythm digs into the vaults for songs about precipitation in its many forms. This week, American Rhythm explores songs that reference that all-important communication technology: the telephone. American Rhythm continues its exploration into the origins of the musical style we know as Boogie Woogie. This week, Craig explores the origins of boogie woogie. This week's episode showcases songs that make reference to "knocking" - think "Keep a Knocking But You Can't Come In." American Rhythm celebrates the new year with a collection of tunes along the lines of seasonal celebration. Host Craig Faulkner heads back to the vast archives for two more hours of vintage holiday musical faire. American Rhythm celebrates the holiday season by unearthing two hours of treasures from years gone by. Now that Thanksgiving has passed, it's time for leftovers! 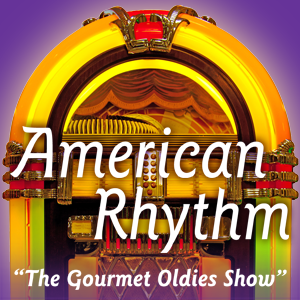 American Rhythm serves up two more gourmet hours of songs about food.